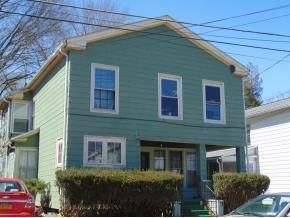 3 FAMILY INVESTMENT PROPERTY IN THE HEART OF OWEGO. GOOD SOLID RENTAL HISTORY. POSITIVE CASH FLOW. NO FLOOD INSURANCE CURRENTLY REQUIRED. NEAR MAIN STREET/ST. PAULS CHURCH. CONVENIENT WALKING DISTANCE TO EVERYTHING OWEGO! OWNER OCCUPY OR RENT OUT 3 UNITS FOR 1500+ PER MONTH. CURRENTLY FULLY RENTED. Owego Elementary School Pre-School, Elementary School / Public 7 1.11 mi. Owego Apalachin Middle School Middle School / Public 6 0.72 mi. Owego Free Academy High School / Public 6 0.69 mi. St Patrick Elementary School * Pre-School, Elementary School / Private N/A 0.45 mi. Tioga Center Christian School * Pre-School, Elementary School / Private N/A 5.35 mi. Zion Lutheran School * Pre-School, Elementary School / Private N/A 1.08 mi. 63 Liberty Street, Owego, NY 13827 multi-family home was sold for $41,000.